I thought the before was fiiiine. But I didn’t love it. NOW, I love it! I’ve had this old hutch in my garage for some time now…and decided to finally paint it. I found it on craigs list. I love the end result. Love it all!!!! Can you pop over here and do mine??!! Wow! I loved it before. Now I really love it. 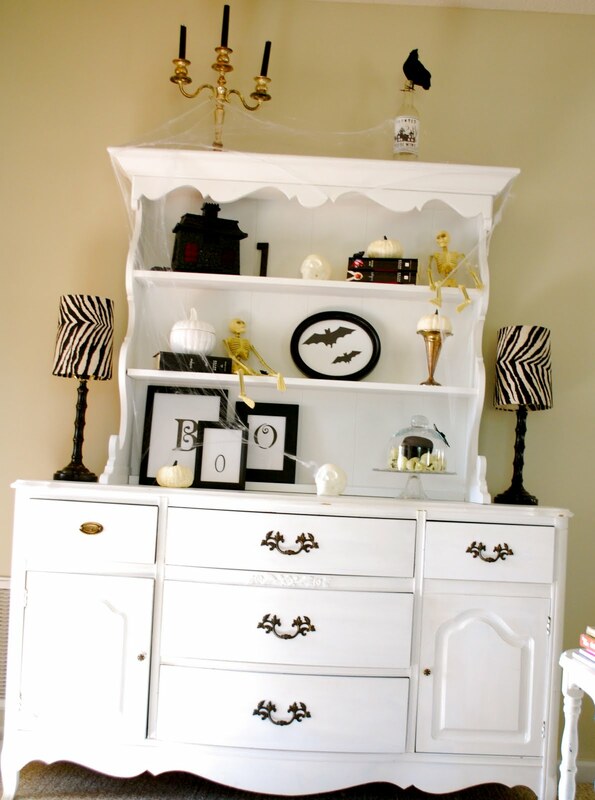 That hutch was an amazing find and the decorations look so good! This looks so cute!! I LOVE it, and the books add the perfect touch. How funny about Edward, the Cullens are just EVERYWHERE!!! You do black and white awesome – it looks great! Oh my gosh! I love, love!! Beautiful! That's all I can say – it is so stunning. I love all of the black and white. 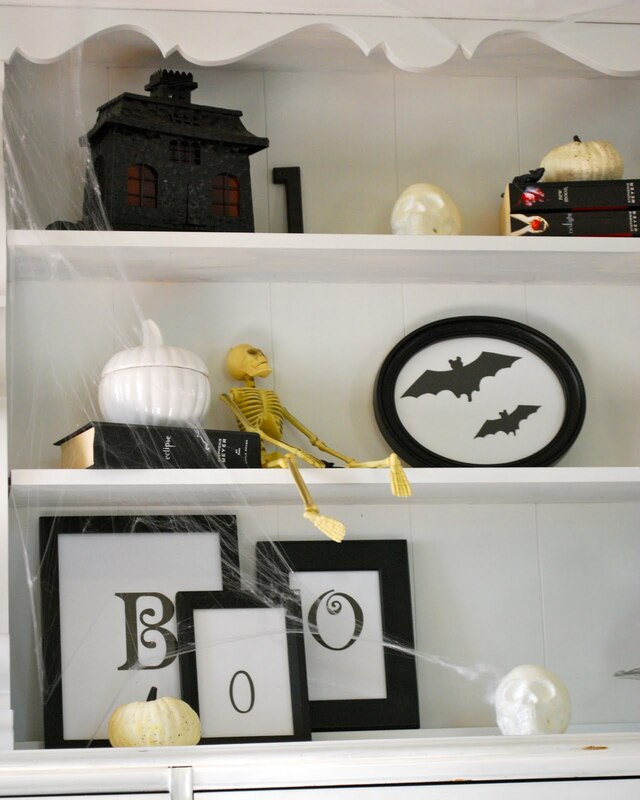 Those framed BOO pictures are so cute. I love it all! I love the black and white mix. I have an old butch I am going to paint, but I am indecisive on whether to paint it black or white! Yours looks so fresh! I love it, the black and white looks so cool! Have a sweet day! Love it!! Looks great! I Love your blog! I love your hutch. So much. 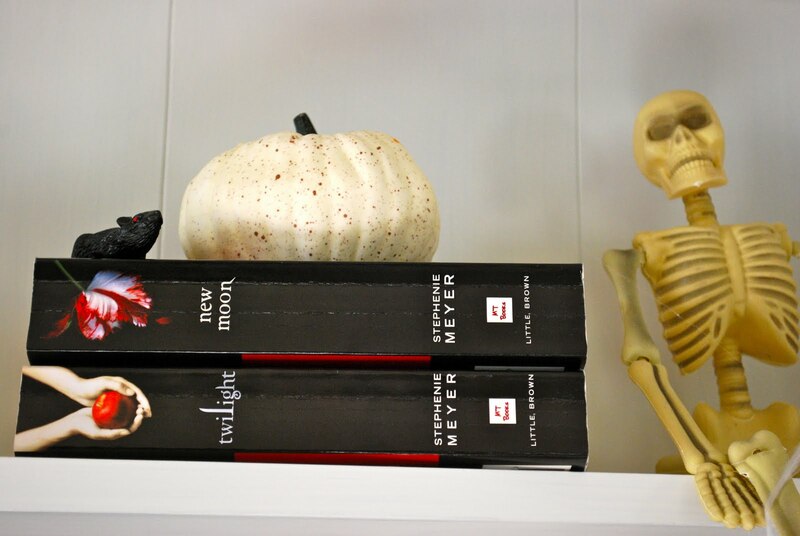 And, cool idea to use your Twilight books. Very clever. So spooky! I love the new hutch! It is going to stay after Halloween? I hope so! and I can't wait to see how you decorate it for the everyday. Gorgeous!!!! I love the piece and the decor. I LOVE it, and the books add the perfect touch. How funny about Edward, the Cullens are just EVERYWHERE!!! I love it too! So creative. So simple. so perfect. so cute. L.O.V.E. it. for reals.